Flor de las Antillas TAA 2018 - Buy Premium Cigars Online From 2 Guys Cigars . The Tobacconist Associal of America is a group of select retailers and manufacturers that celebrated their golden anniversary this year with a conference and trade show in La Romana, Dominican Republic. The event sees the release of limited edition cigars available only at TAA retailers. 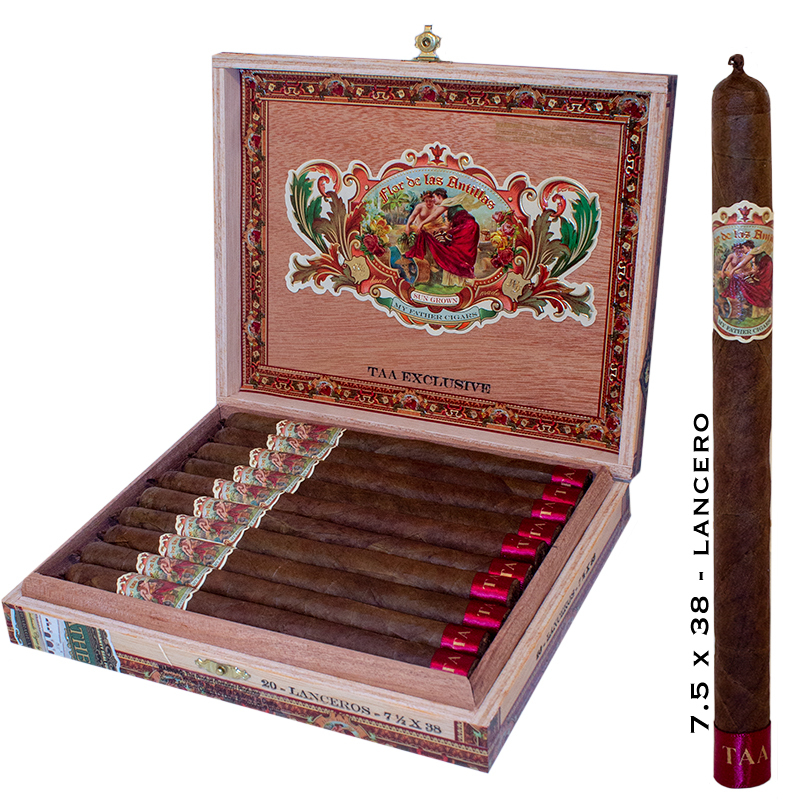 This year one of those releases was the Flor de las Antillas Lancero. The cigar which measures 7.5 by 38 features a 100% Nicarguan blend with a Sun Grown Wrapper.